Willamette Leadership Academy (WLA) is a military style charter school, which provides academic, social, and emotional instruction to middle and high school students (cadets). "The philosophy of the schoolroom today will be the philosophy of the government tomorrow". 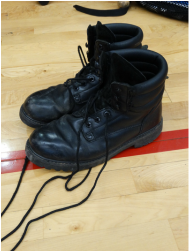 It is the mission of Willamette Leadership Academy to provide our cadets with the academic skills that will enable them to reach their personal career goals and provide them with the leadership skills and positive character traits that will enable them to be responsible citizens of their community. The leadership skills learned will allow the cadets to become more successful in school and improve their relationships with family, friends and authority figures. PYCO opened in 1993 as an after school program. Within the first two years it became obvious that the idea was needed and PYCO soon developed. We grew to almost 350 students and volunteer staff, we also began receiving requests to add academic services. In 1996 PYCO developed an after school tutoring program staffed by volunteers and local college students. Together they helped students with homework and study skills, and offered basic math and language arts classes. Our students were demonstrating academic and behavioral improvement, but funding was an issue. Recognizing the need for more academic support in the PYCO program, an alternative education program was developed in 1997. In 2003 PYCO moved from the Eugene area to Veneta. Charting with the Fern Ridge School District, Willamette Leadership Academy opened. 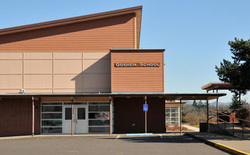 Nine years later, after outgrowing the Fern Ridge location, WLA relocated to Goshen and chartered with the Springfield School District. Due to the continuous growth, Willamette Leadership Academy expanded to two battalions, a middle school and a high school. Willamette Leadership Academy now has two campuses, which serve 3 counties. The 1st Battalion (high school) is located in Goshen, and the 2nd Battalion (middle school) is located in Springfield. Each campus is located in a rural setting and provides a safe, drug-free environment. Why is Willamette Leadership Academy different from other schools? WLA assigns two staff members to a classroom (company). The officer (Lieutenant) is responsible for academic instruction. 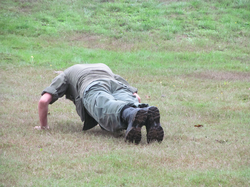 The NCO coaches the cadets in conduct, leadership and respect skills, as well as physical training. Our educational practices establish that anything less than a C- is failing and we work diligently to provide the cadets with the tools to succeed. We also reinforce positive changes by giving promotion and awards based on behavior, academic achievements and individual examples of good deeds. Willamette Leadership Academy is open to all middle and high school students who are ready to meet the challenge of a highly structured and teamwork oriented school. Our students come from a variety of backgrounds, home environments, ethnic and financial situations, but find the unity in the structure of WLA. Our Primary concern is how much effort they are willing to put into changing for their future, not where they came from. Many of our cadets chose our program for the educational structure and environment. Cadets graduate with the skills needed to enter college, the Armed Forces, or the job market. "It is not about where a student comes from but about preparing them for where they want to go."